Davido is set to drop a collaborative EP with DMW signee, Peruzzi. Davido already has a lo of collaborations with his aristes suh as Mayorkun, Dremo, Peruzzi, Yonda, Ichaba and of course with Obadice. Peruzzi on the other hand already has an amazing year with his stellar hooks on DMW’s hits “Aje” and “Mind”, as well as his outstanding performance on 2baba‘s “Amaka”. So for now, we should keep our fingers crossed to expect something great and just like he did with Mayorkun last year, Peruzzi might be the next Africa superstar. 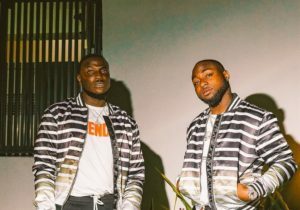 See Davido’s tweets on his collaborative EP with Peruzzi.